Patch pocket with pencil inset. 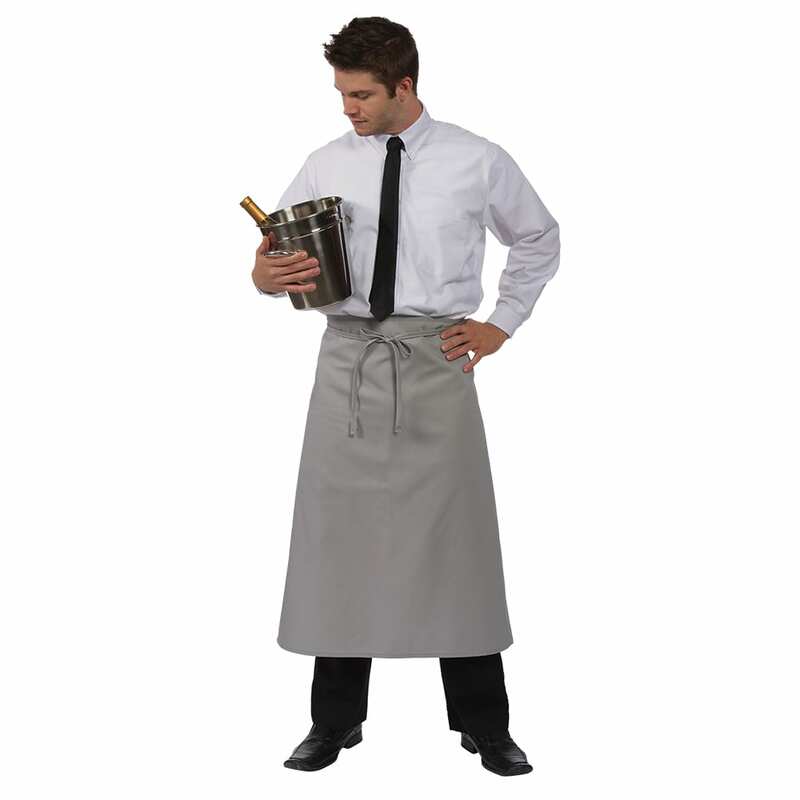 Bistro Aprons allow your waitstaff to keep track of checks, pens, notepads, and other important items, while still keeping their uniforms clean. 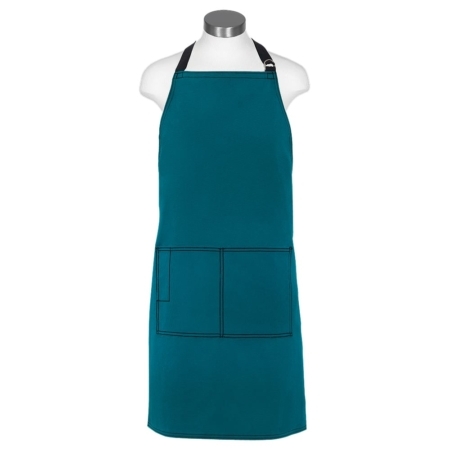 The Long Bistro Apron is our most popular option, because of some of its great features. 13 Color Options. 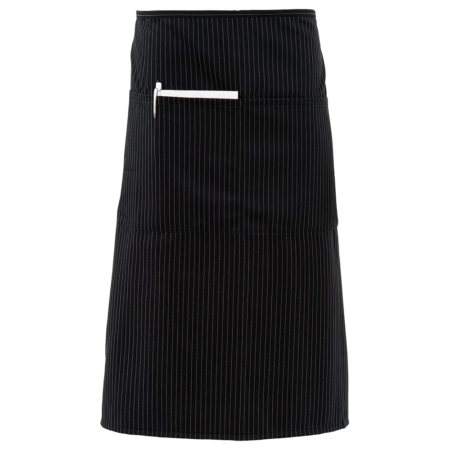 Choose from black, burgundy, hunter green, navy, white, mocha, nutmeg, sage, silver, black & white chalk stripe, and black & white pinstripe, Black & Gray Pinstripe, Charcoal so you can easily coordinate the apron to your restaurant’s brand colors, seasonal specials, kitchen décor, or your personal color preferences. 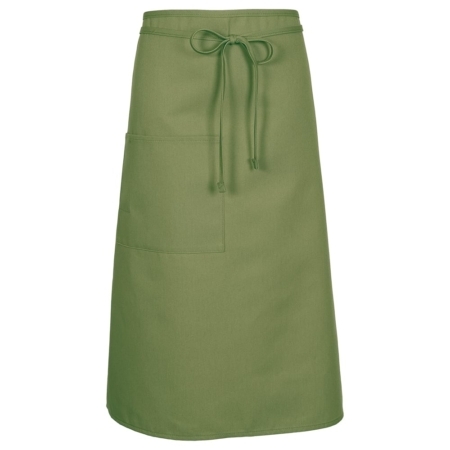 Custom embroidery is also available on this apron with 19 thread colors and 7 font selections to choose from. It’s comfortable. Many people prefer this style and length of apron. It ties easily around your waist. Because of its design, there is no tugging at your neck or discomfort with how the top section fits. It’s functional. 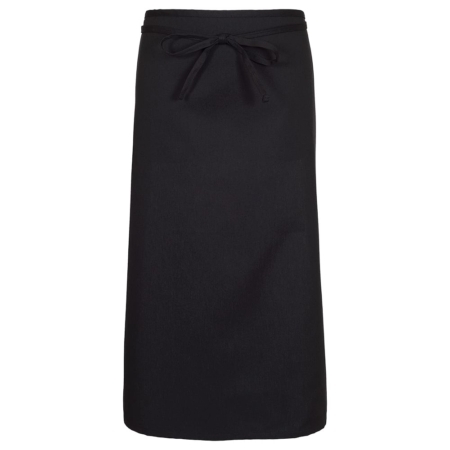 It has a patch pocket with a pencil insert to provide easy storage for anything your waitstaff may need to carry. 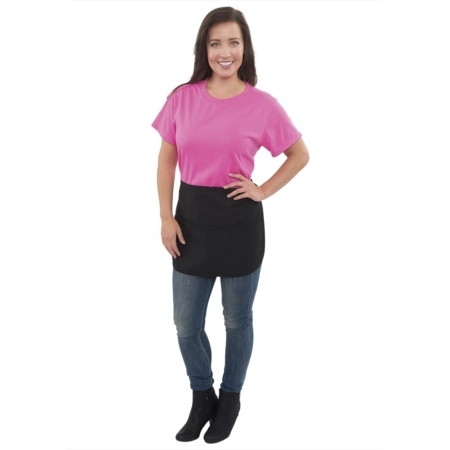 The apron is 32 inches long and will extend well below the knee to protect your staff’s uniforms from spills and other stains. It’s Durable. 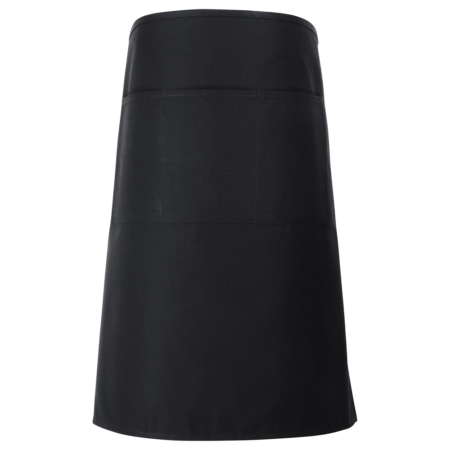 The Long Bistro Apron is made from a long lasting 7.5 ounce 65/35 poly-cotton twill and is protected with a ProDura Soil Release. 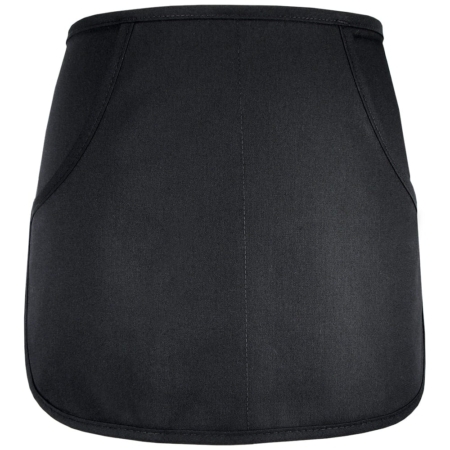 The thicker fabric and finish help to protect against stains, prevent fading and provide increased durability. 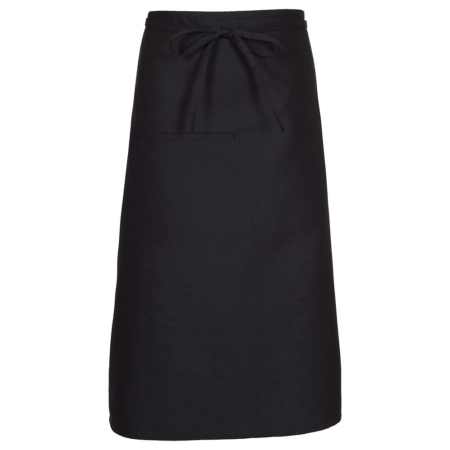 It’s no surprise that this is our most popular bistro apron.